Your customers are watching videos online every day. They’re watching to learn, to make buying decisions, to be entertained and to get inspired. For businesses, the key to capturing a wider audience and building brand awareness is meeting them there with educational videos. Educational videos, also known as “how-to” videos or explainer videos, are a vital part of marketing your services and/or products without it seeming ‘salesy’. They can position YOU as the expert in your field, increase recall and generate excitement about a specific topic. Let’s dig a little deeper into six ways educational videos can help you build brand awareness. 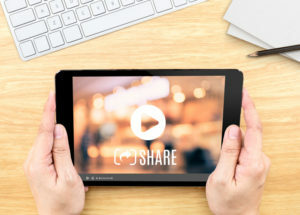 Done right, “how-to” videos can engage your target audience and exploit great visuals that make you more memorable without feeling like you’re pushing a sales pitch. The “tell, don’t sell” approach is important as today’s consumer will block out sales content. They can smell an advertising pitch from miles away. Content marketing through educational videos, however, is completely different. You get to offer free (terrific) content, build an audience who loves and shares that content and win their trust. The point is NOT to overwhelm people with ads or pitches, but to offer relevant, useful information. Showcase your expertise (and that of your team) with how-to videos that address your customers’ needs and you’ll give them the confidence to use your service or buy your product. Videos not only establish you as the authority in your field, but they give you the opportunity to engage with customers through feedback. We remember a video better than we remember text. An interesting feature of the human brain is that we can remember more pictorial information than we can recall words or letters. As businesses around the world become more complicated with the rise of technology, so do the messages required to describe them. Educational videos offer an ideal platform to convey more intricate directions or complex messaging. In under two minutes, you can entertain, inspire, educate and get your message across in a way that motivates action. People want to do business with brands they trust. Time after time, stats have shown that watching educational videos about a product or service make people more confident and therefore more likely to buy. It also adds credibility to your company, demonstrating your product and displaying it in a professional manner that equates to your brand. SE-What? SEO (search engine optimization) is the fine art of boosting your website’s rankings higher in Google’s search results (or any other search engine), which means your business will be seen by more potential customers. It’s a part of our life. People are looking for recommendations from others online and their friends are eager to share what they love. Videos result in more engagement than plain text which means your videos are far more likely to go viral than any other marketing content. So, how can your business take advantage of educational videos? Now that you’ve seen why educational videos can be a great vehicle to carry your content marketing, it’s important to understand that video production requires strategy, planning and structured execution. That’s what we’re here for! At Shamrock Communications, we’ll keep your prospects engaged from beginning to end and inspire viewers to take action. For more information on our services, visit our services page and contact our team at 732-686-1140 to get started today.